Tonight I stopped by Pica Pica on Valencia and tasted their coconut lime slushy. I immediately wanted to make a pie out of that taste. It had that Coco Lopez smo oth — slighty waxy — finish, with the island sweetness of the coconut cream and subtle acidity of lime. Perfectly refreshing on a ‘hot’ day that lingered in 70’s in San Francisco. I texted my pal Lisa of I.E. Ice Cream suggesting she try that as an ice cream flavor. 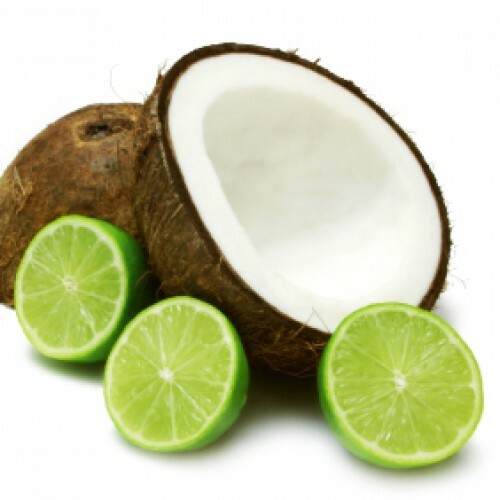 On the verge of obsessing on coconut-lime, I started to dig around for the origins of the coconut and lime duo. That’s when I discovered Dum Dum Flavor History. 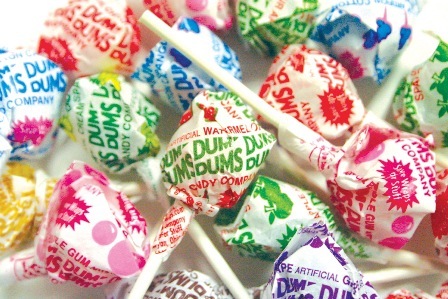 Remember Dum Dums? Those skinny little pops that weaseled their way into your Halloween bag every year between the KitKats, Snickers, candy corn and Unicef pennies? The only flavor I can clearly remember enjoying (or ending up with) is cream soda. The flavor history of Dum Dums is fascinating because it’s actually documented for us (Note: being here in California, I had to see if Jelly Belly had an equivalent timeline. They don’t). From 1924 (when the company was founded) to 1955, the company added flavors. Then from 1960-2000 began the intense experimentation, like adding butterscotch and watermelon, and “dropping” of flavors like raspberry, chocolate and black cherry. For the past 10 years, Dum Dum has been on a more promotional kick with their “mystery” flavors and putting some flavors on “vacation” rather than dropping th em. I’d say one flavor I’m glad I never experienced was buttered popcorn. That debuted in 2000 and was dropped, er, put on vacation the following year, when Sour Apple made a comeback. If Dum Dum came out with a coconut-lime pop, I’d love to try. Well really, I’d like Lisa to make coconut-lime ice cream for me.